During July 14-17, I will give a training on Steering Agile Architecture on the Praslin island in the Seychelles. The technical program will be complemented with social interactions to allow the participants to go in-depth and learn from each other. The training is organized by Kumbayja, and the package includes hosting. There are a couple of places left, and if you are of interested, please contact me. 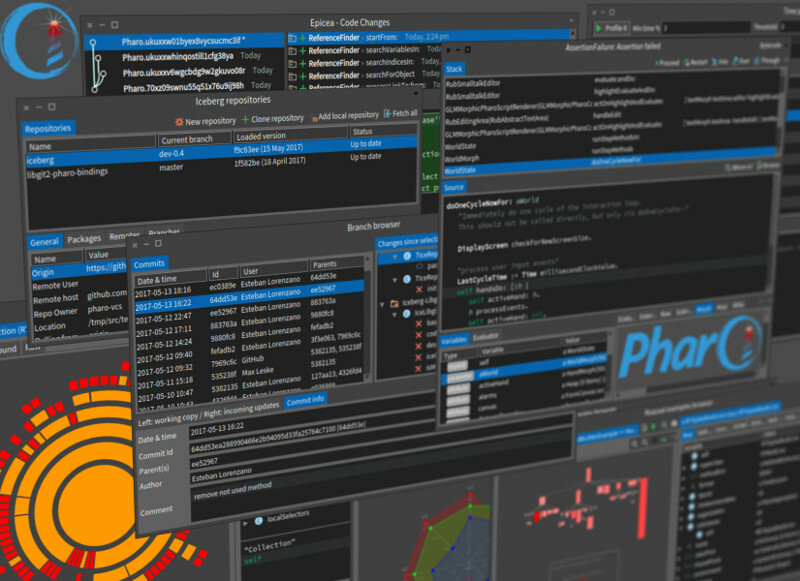 The time has come for Pharo 6.0! 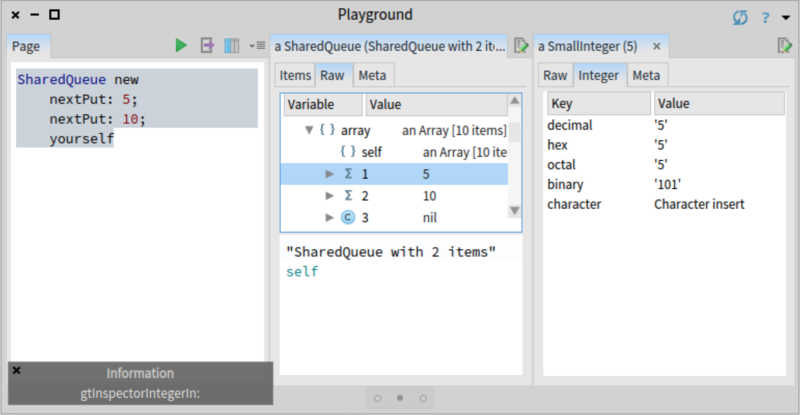 Pharo is a pure object-oriented programming language and a powerful environment, focused on simplicity and immediate feedback. These are just the more prominent highlights, but the details are just as important. We have closed 1474 issues in Pharo 6.0 (a more complete changelog can be found in the main GitHub repository). While the technical improvements are significant (starting the transition to 64bits is a remarkable achievement), still the most impressive fact is that the new code that got in the main Pharo 6.0 image was contributed by more than 80 people. (If you contributed with Pharo 6.0 development in any way and we missed your name, please send us a mail and we will add you). 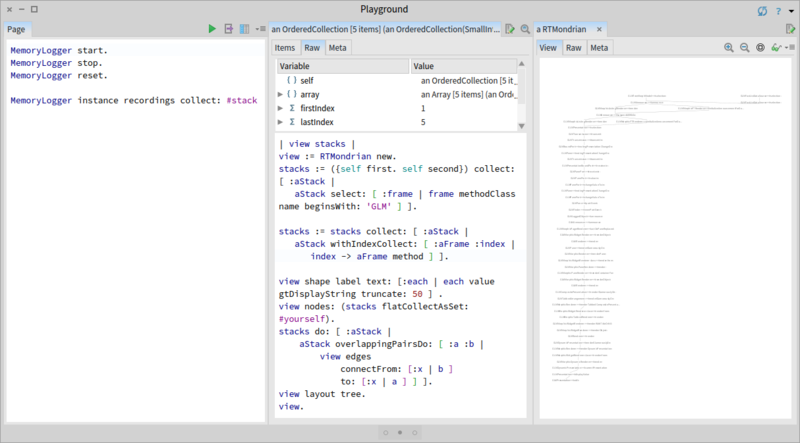 Bloc is the new graphical engine for Pharo initiated several years ago by Alain Plantec. It is an ambitious project that has as goal the complete overhaul of the rendering in Pharo starting all the way from the basics of drawing. The project underwent at least 4 distinct redesigns and you can read some of its history on the GitHub page. This post is about a new milestone that was reached recently. At the very basis of Bloc, there exist a canvas called Sparta. Sparta was released last year and was developed by Aliaksei (Alex) Syrel. 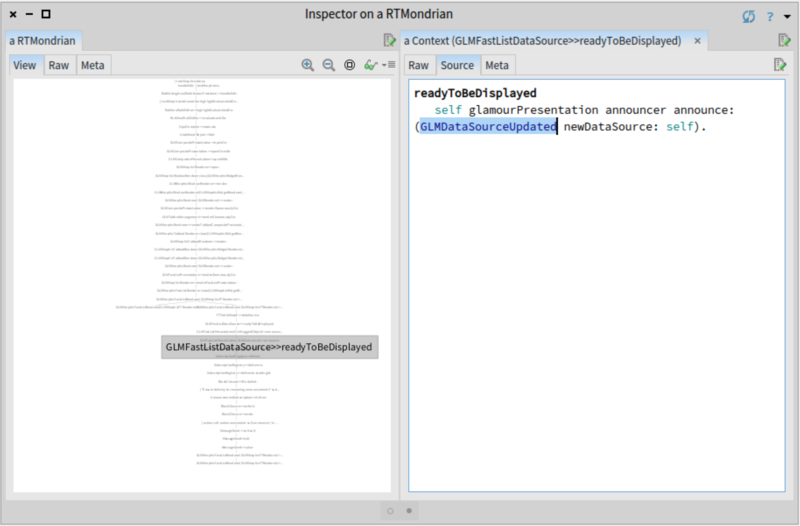 At the time, Sparta offered highly performant rendering by relying on a stripped version of Moz2D and an SDL window. While the rendering is remarkable in terms both of speed and of beauty and flexibility, the community still raised the issue of having to depend on yet another external library (Moz2D) that had to be stripped down. Indeed, this can pose a risk in the long term. It would have been much better to be able to provide some way of rendering Sparta on top of the current solution provided by Morphic and Cairo even if the rendering would not be as pretty. The choice between the different backends and hosts can be adjusted via two settings available in the Settings Browser. To load the Bloc, you can use two scripts in Pharo 6.0. All in all, this now implies that the backend and host windowing system are no longer a liability, and that we can safely invest in building the future Pharo graphical user interface on top of Bloc. feenk.com is proud to announce gt4gemstone, a version of the Glamorous Toolkit aimed at supporting remote development with GemStone/S, the coolest object-oriented database in the world, from Pharo. gt4gemstone is released as an open-source project under the MIT license and was built primarily by Andrei Chis with some marginal contributions from me. There are still things to improve, especially around code browsing and searching, but the tools can already support development scenarios. One particular aspect that we focused on is performance. So much so, that at one point inspecting objects in gt4gemstone was faster than doing them locally. 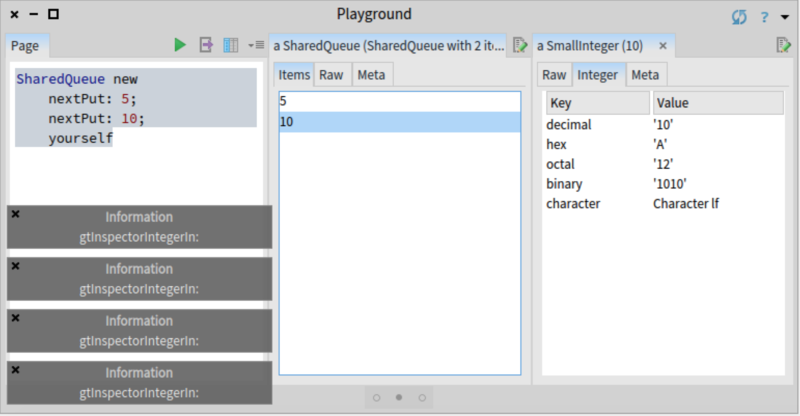 In the meantime, the GT inspector from Pharo also received an upgrade. 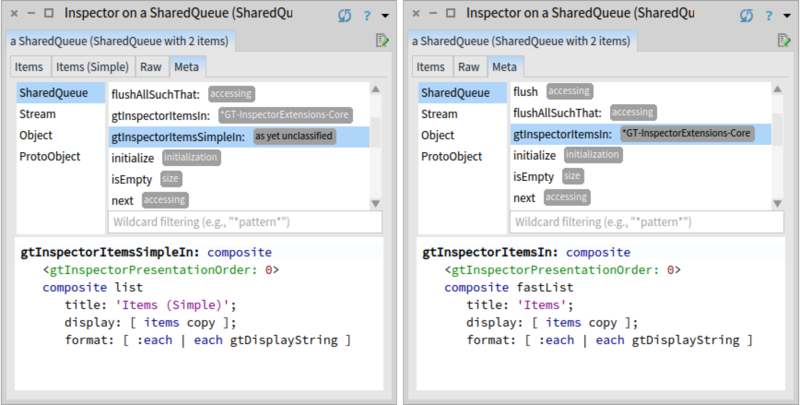 But, perhaps the most exciting thing about this project is that most extensions of the inspector can be expressed exactly in the same way both in Pharo and in GemStone. For example, this method defines an extension for an AddressBook class. 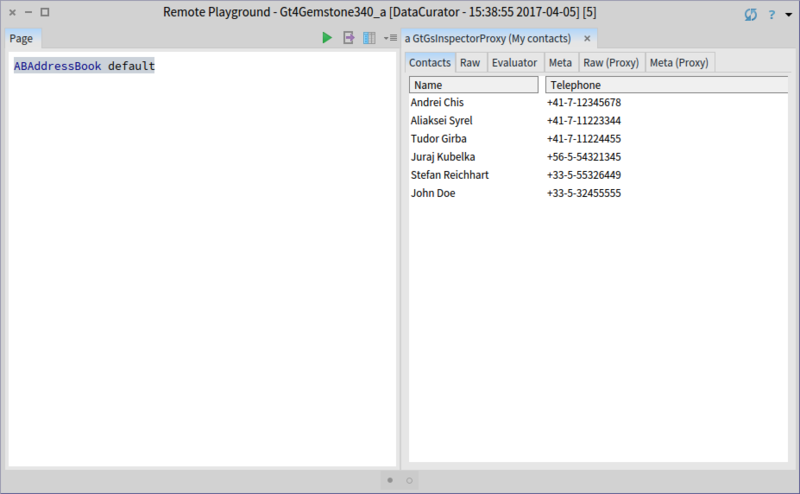 But, after deploying the class in Gemstone, the same method offers the custom presentation in the remote inspector as well. Why is this feature important? When programing in Pharo, extending the inspector is by now an expected feature and it is part of the typical development flow. It is only natural to expect the same ability when inspecting remote objects. With the ability of having the same code working both in Pharo and in GemStone, the scenario of building in Pharo and deploying in GemStone even more appealing. In a previous article we looked at how moldable tools can change the development experience when tracking down a bug. The bug in question was a duplicated behaviour in GTDebugger: triggering an action from the context menu of the stack triggered that action twice. A few weeks after that bug was fixed, another interesting bug was reported for GTInspector, affecting the navigation feature of the inspector: when an object is selected in a view, the pane to the right is created four times, as if the user selected that object four times. In this article we detail the workflow that we followed to understand and fix this bug. This workflow consists in treating software problems as data problems, and formulating and solving one hypothesis at a time. Hence, we do not try to gain knowledge just by reading code. Instead we use tools to query and visualize our data, the code. When an appropriate tools is not available we build it. We then use the gained insight to formulate the next hypothesis and iterate until we understand the cause of the bug, and are able to fix it. As much as possible, we make all hypotheses explicit. When redoing the previous scenario using the newly created view, we can indeed confirm that the bug is not present; Integer>>gtInspectorIntegerIn: is called only once. Hence, this bug is again related to Fast Table. Given that we have a correct and a buggy scenario, before going any further, we would like to quickly check if there are any differences between an execution using Fast Table and an execution using Pluggable Tree Morph. We hypothesis that the problem could be caused by the Glamour renderer for Fast Table not following the same logic as Pluggable Tree Morph. 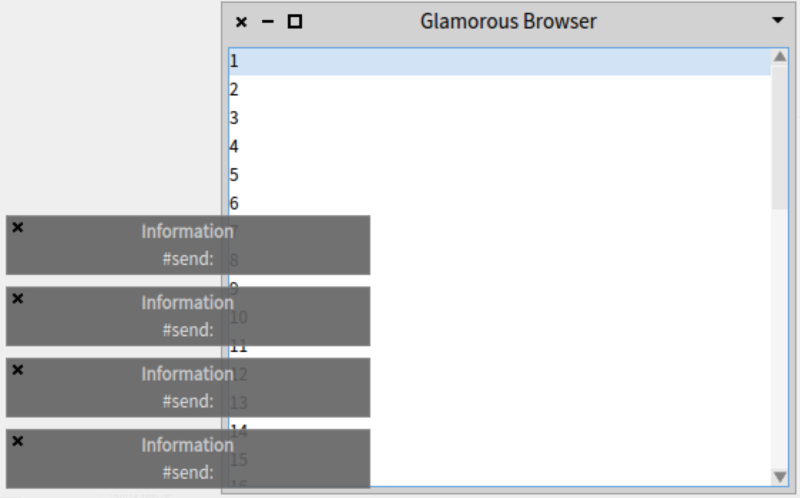 Glamour, is the browsing engine on top of which GTInspector is implemented. Glamour provides two distinct renderers for displaying lists, one for Fast Table and one for Pluggable Tree Morph. If we do not see a divergence in the call stacks of the two renderers, we can focus our investigation on the Fast Table renderer. We could approach this task by opening two debuggers and then manually scrolling through the stacks to find a difference. 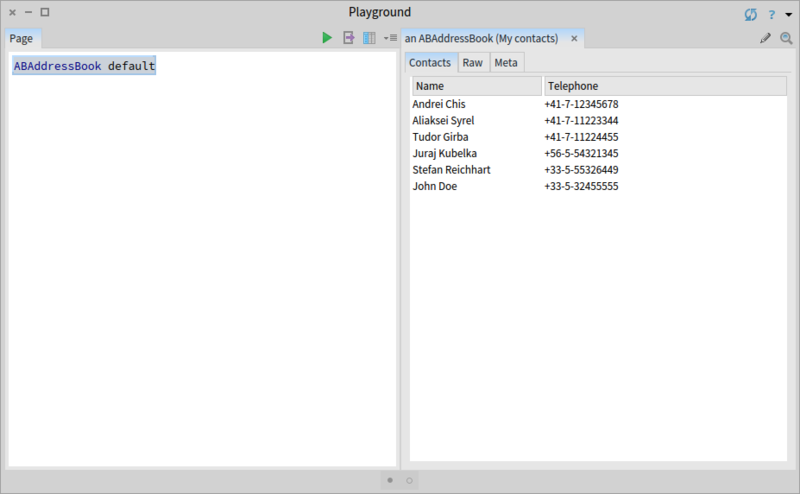 However, a less manual and error-prone approach consists in creating a custom view that shows the two call stacks using a tree, highlighting the points where the stacks diverge. To build this tool we first need to log the two stack traces. For that we can rely on the Beacon logging engine and replace the #inform: call from the method Integer>>gtInspectorIntegerIn: with a logging statement that records the stack of method calls (MethodStackSignal emit). We observe that we got five stacks. Four correspond to the buggy scenario, and one to the correct scenario. We also notice that there is a difference in the number of stack frames between the two scenarios. Nevertheless, if we briefly look at one correct and one buggy stack trace, we notice that there are a lot of frames that are not related to Glamour, caused by how the two graphical widgets (FTTableMorph used by the Fast Table renderer and PaginatedMorphTreeMorph used by the Pluggable Tree Morph renderer) handle the selection of an element. To verify our hypothesis, we are only interested in those stack frames related to Glamour. 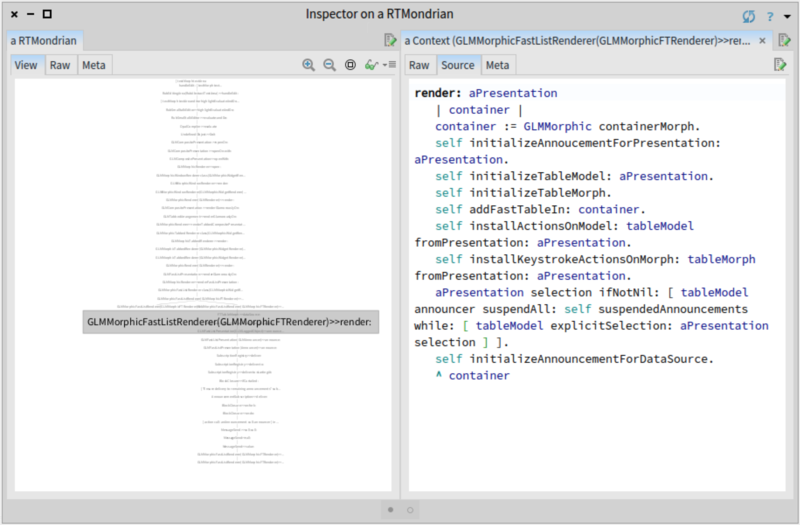 To build the custom view, we switch to the 'Raw' view of the inspector and use a Roassal script. First, we select a correct and a buggy stack trace and then remove all stack frames that are not related to Glamour. We rely on the fact that all Glamour classes have the prefix 'GLM'. Then, we add the filtered stack frames in one set, draw edges between consecutive entries, and arrange the graph in a tree. We also attach an index to methods for ensuring that multiple occurrences of the same method in the stack will have different entries in our view. aStack select: [ :frame | frame methodClass name beginsWith: 'GLM' ] ]. index -> aFrame method ] ]. view shape label text: [:each | each value gtDisplayString truncate: 50 ] . view nodes: (stacks flatCollectAsSet: #yourself). to: [:x | a ] ] ]. In this case, we discover that the difference appears because the Glamour renderer for Fast Table and the Glamour renderer for Pluggable Tree Morph have a different way of propagating the selection. However, in the end, both renderers call the correct method GLMPresentation>>#selection:. Hence, the problem is most likely related to Fast Table. We use this newly gained insight to steer the focus of our investigation. In the resulting view we can see that we have four stack traces because the execution branches in two places: an initial branch point that occurs only once, and a second one that occurs two times. In each case we notice that the inspected announcer has some duplicated subscriptions. Having some knowledge of the Glamour renderer, we suspect that this should not be the case; each subscription should be registered only once. We use this insight to continue the investigation. After executing the code above and selecting an element in the list, we get the same four notifications as before. To verify if those announcements need to be registered twice, we need to find the places where the registration happens. Searching for the methods that reference the class FTSelectionChanged (one of the duplicated announcements) we discover that it is called from the method GLMMorphicFTRenderer>>initializeAnnouncementForDataSource. The fact that the subscription is registered twice indicates that the method is called twice. We proceed as before, and instead of putting a breakpoint in the method, we add a Beacon logging statement, and only record events while we open the buggy browser. openOn: (1 to: 42) ]. 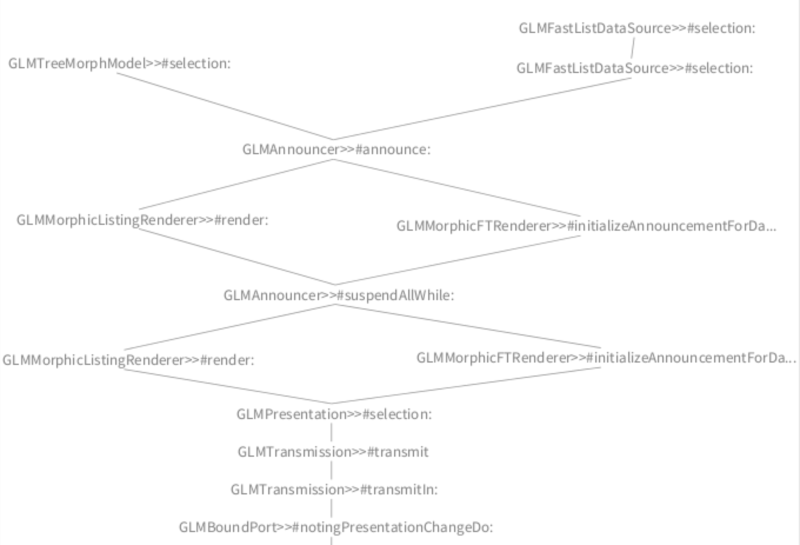 We observe that the first call is made from the method GLMMorphicFastListRenderer>>render:, and the second from the method GLMMorphicFastListRenderer>>dataSourceUpdated:. To understand the relation between these two methods within the execution, we again construct a tree with the two call stacks. We already have a visualization for this task, as we built it in a previous step. 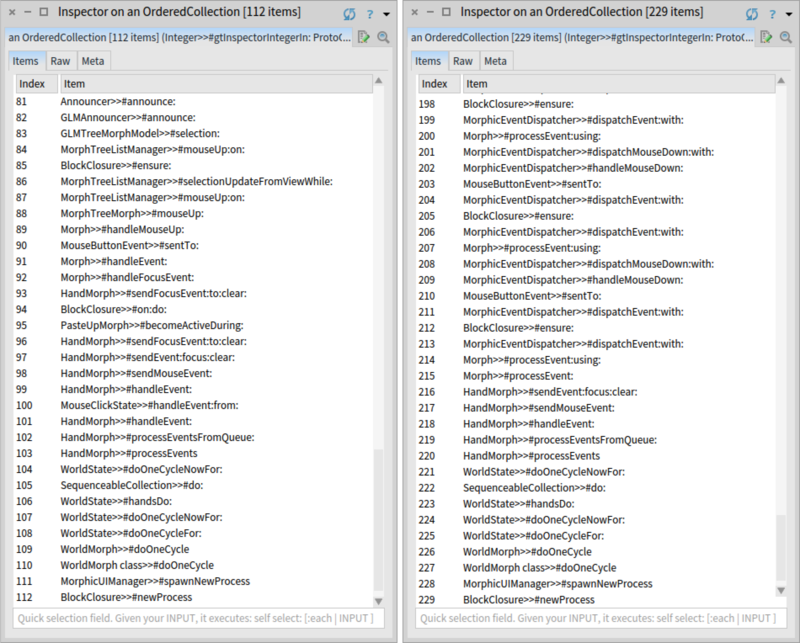 We immediately see that the two stacks diverge in the method GLMMorphicFastListRenderer>>render:. This is actually the method that makes the first call to #initializeAnnouncementForDataSource. We can now navigate through the other call stack to understand why it was made. We can basically use the GTInspector as a port-mortem debugger! Before moving forward, we need to clarify a relevant aspect regarding the design of the Glamour renderer for Fast Table. GLMMorphicFastListRenderer is the Fast Table renderer. 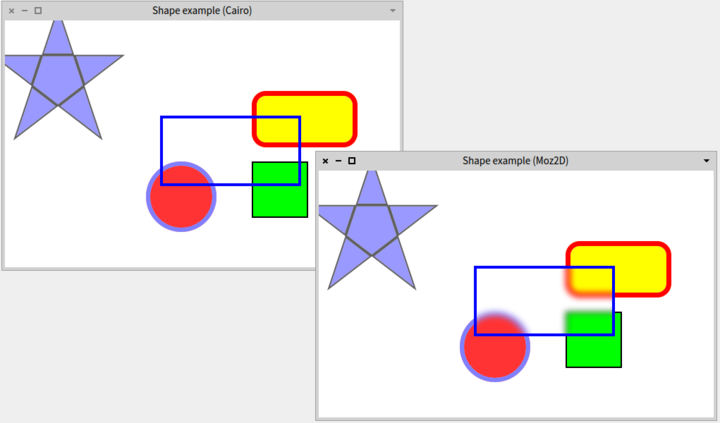 The renderer creates a graphical widget (FTTableMorph), a data source and links them together. The widget displays the elements visually and the data source provides the elements that will be displayed. tableModel ifNotNil: [ self unsubscribeDataSource: tableModel ]. aPresentation when: GLMDataSourceUpdated send: #dataSourceUpdated: to: self. aPresentation when: GLMContextChanged send: #actOnContextChanged: to: self. At this point we gained a good understanding of the factors causing the bug. To summarize them: when a Fast Table view is created, the method GLMMorphicFastListRenderer>>render: instantiates a new data source and calls #initializeTableMorph. 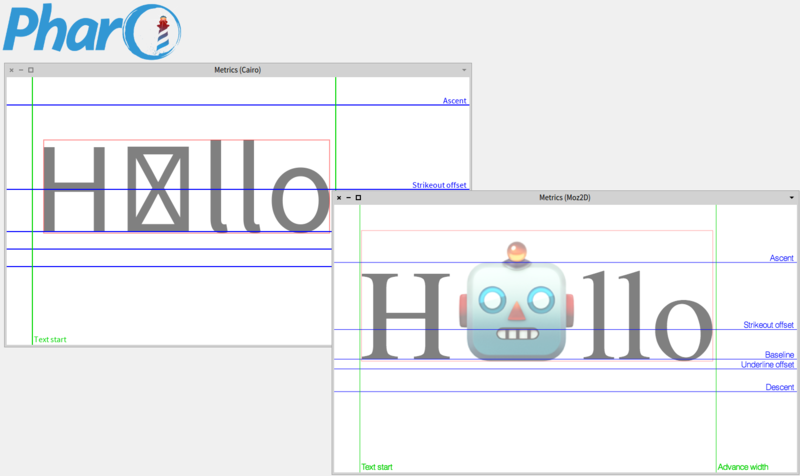 #initializeTableMorph creates a graphical widget and sets its data source. After the graphical widget is initialized GLMMorphicFastListRenderer>>render: calls #initializeAnnouncementForDataSource to properly set the announcements between the graphical widget and the data source. However, this method was already executed when the data source was set in a FTTableMorph widget in #dataSourceUpdated:. Hence, we can fix the bug by removing the explicit call to #initializeAnnouncementForDataSource from GLMMorphicFastListRenderer>>render:. Now that we found and fixed the bug we can document our finding. To ensure that this bug will not happen in the future, the best solution is to rely on a test. We create a test that verifies that there are no duplicated subscriptions in an announcer. We then apply this test on the two announcers from Glamour that have duplicated subscriptions. This way, if at any point in the future a duplicated subscription is introduced, we will be notified and can check if the duplication makes sense or if it is a bug. 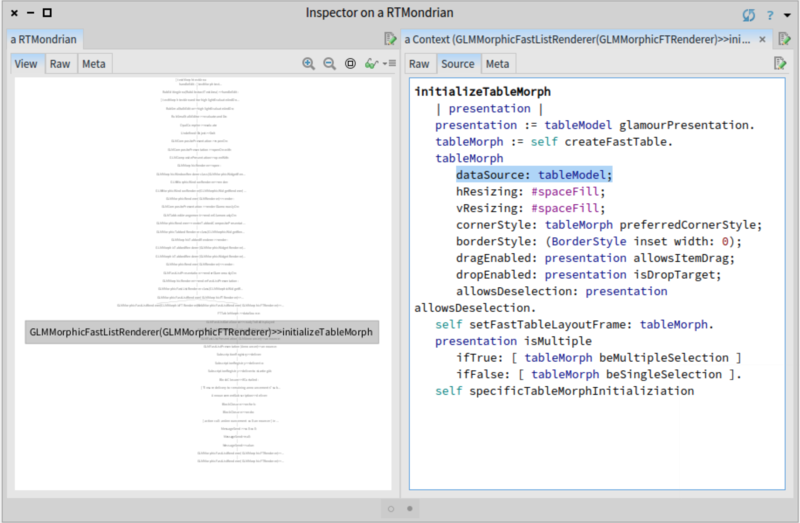 table := self find: FTTableMorph in: window. self assertNoDuplicatedAnnoucementsIn: table dataSource announcer. Solving this bug was done through building custom tools. 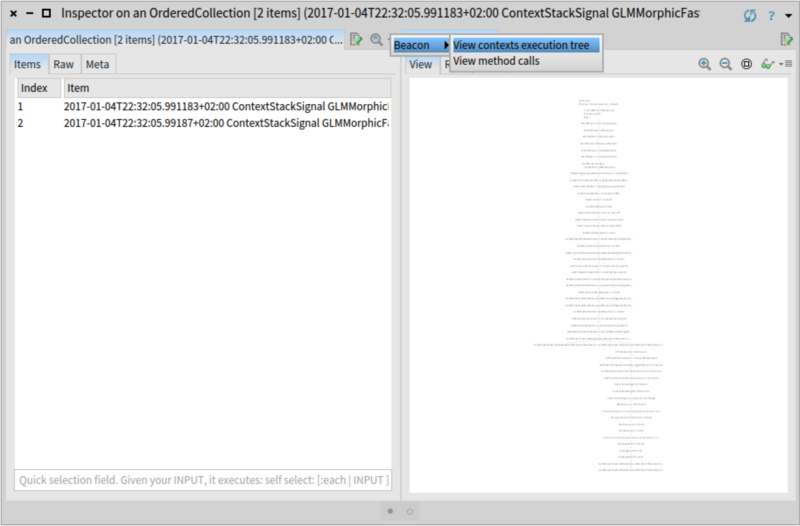 In this particular case, the tool consisted in a view for displaying stack traces using a tree. Initially, when we solved the previous bug related to Fast Table, we also built such a view, but then we did not know if we will even reuse that view (tool) so we threw it away. Now, we had to reuse the view again and make a few adaptations: filter stack frames using a condition and create edges based only on method calls. Hence, we can now spend 15 minutes more and transform this view into a tool that we can then reuse in the future, whenever we need to compare stack traces. stacks := aCollectionOfStacks collect: [ :aStack | aStack select: aFilterBlock ]. aStack withIndexCollect: [ :aFrame :index | aTransformBlock cull: aFrame cull: index ] ]. We are still not done. We invested effort into building this tool, however, if other developers are not aware that this tool exists they will not use it. Hence, we should invest a few more minutes to address this. This view is applicable when we inspect a collection of Beacon events of type ContextStackSignal. We extend the GTInspector with a custom action for collections that is only applicable if the collection contains at least one Beacon event of that type. We further implement the action so that the view is opened in a new pane to the right, preserving thus the workflow in the same inspector window. We started this session with the goal of understanding the cause of a bug and end it by adding a custom tool to our environment. We achieved this as we were able to rapidly create the necessary tool and easily incorporate it into the IDE. 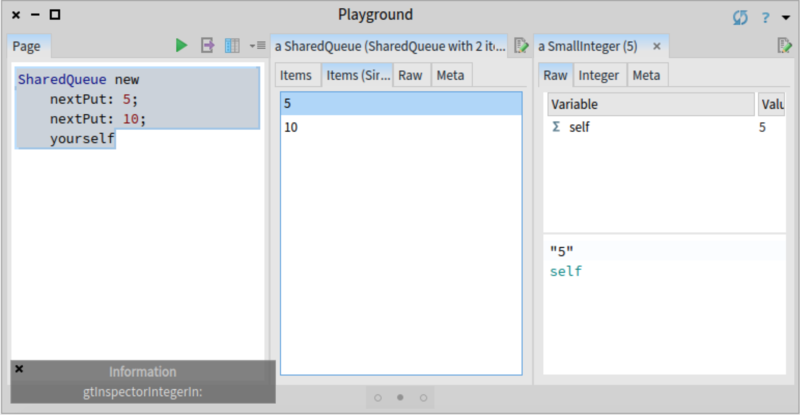 We could do this as Pharo is a moldable IDE where creating a new custom extension is just as easy as creating a test.